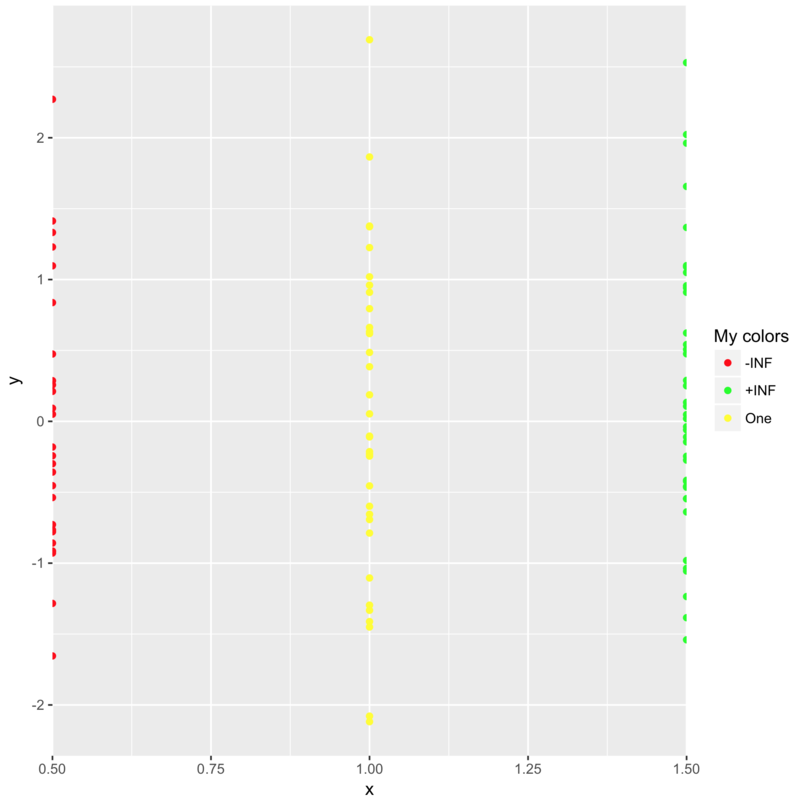 I know how to get for a) and b) , but dont know about getting for c)..
Group your data (group COLOR) if it's == 1, < 1 or > 1. And specify color in aesthetics by this group. Specify wanted colors in scale_color_manual. d[d$x < 1, ]$COLOR <- "-INF"
d[d$x > 1, ]$COLOR <- "+INF"